The future of the state's community solar program is in question, even as utilities accelerate the adoption of renewable energy and take advantage of cheaper solar panels. 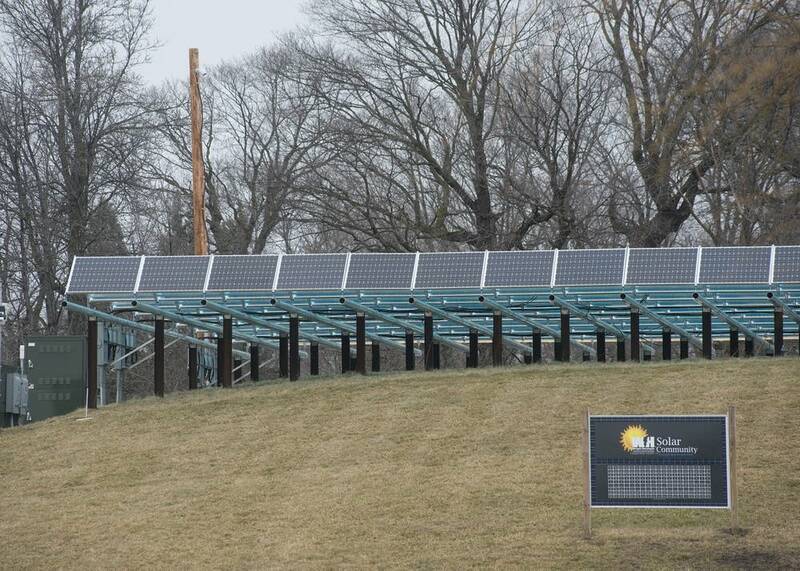 Xcel Energy says Minnesota's community solar garden program is no longer achieving what it set out to do in 2013 and should be updated to reflect a changing industry. Community solar gardens allow residents and businesses to support and use solar energy without having to buy and install solar panels on their own rooftops. State law requires Xcel Energy to buy energy from community garden projects. But Xcel argues that the program isn't serving its intended audience, and says power generated by community solar gardens is more expensive than any other type of electricity, including electricity generated by large-scale, utility-owned solar farms. So the company is asking state lawmakers to scale it back. The costs of maintaining the state-mandated community solar program are spread among all Xcel's customers, Rick Evans a lobbyist for Xcel, has told state lawmakers this session. Because of the way the state's community solar program was set up six years ago, Evans said a megawatt-hour of community solar power costs $110 to $125. Utility-scale solar costs $40 for the same amount of energy. "And this is where the program, we believe, for our customers has turned into a very bad deal," Evans told the Senate's Energy and Utilities and Finance Policy Committee earlier this month. Things have changed since the program was established, Evans said, and the state needs to adjust to meet those changes. "It wasn't anybody's fault, it wasn't anybody's intention, it wasn't what the program was set up to do. But back in 2013, no one expected that the cost of solar was going to fall so dramatically," he said. An overall demand for renewable energy has contributed to more competition in the marketplace and lower prices for solar panels. From the start, community solar was expected to be more expensive than its large-scale counterpart because these gardens are limited in size. That means there's more design and development cost, when paired with each little garden's output, than there is in a large solar farm. But Xcel says that, as the costs associated with generating solar energy have decreased, the cost difference between community solar and solar farms has increased. Xcel is working toward generating 100 percent of its energy from carbon-free sources — like solar and wind — by 2050. Many corporations based in the state are pledging to move completely to renewables. And some state lawmakers want to pass a law that would reach that goal statewide. Solar energy will play a role in that transition to renewable energy. In Minnesota, there are three primary ways to get solar energy: by installing panels on rooftops, subscribing to a community solar garden and through power companies building their own solar farms and adding that energy to the grid. Community solar gardens are built by independent developers, who build small solar installations that residents or businesses subscribe to. The subscribers then get credits on their utility bills for the power the solar garden produces. 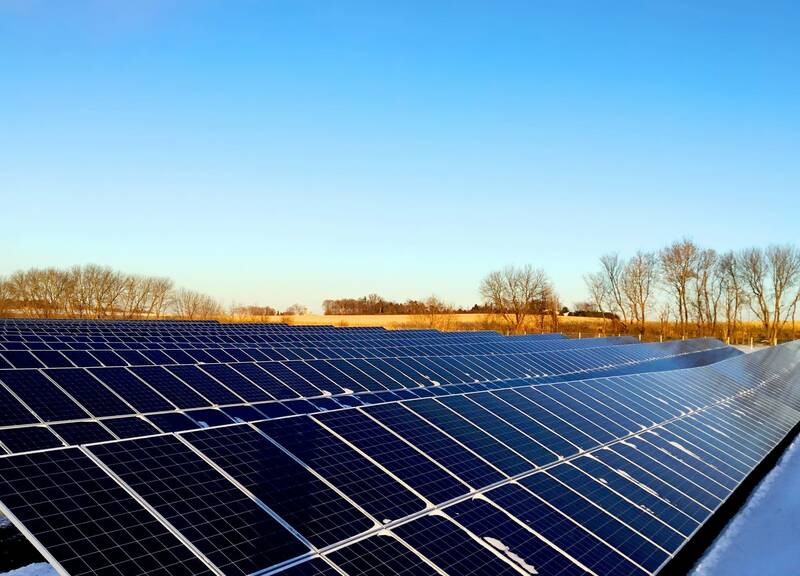 The Minnesota Solar Energy Industries Association, which represents the companies that install solar energy, says community solar offers benefits to both the utilities and the state that utility-scale solar can't provide. But the group's executive director, David Shaffer, said the industry is willing to work with Xcel and lawmakers to address concerns. Senators on the energy committee have discussed a range of options to address Xcel's concerns. One proposal calls for an end to community solar, something solar developers, environmental groups and the state Department of Commerce oppose. Other options include putting a cap on how much community solar can be added; ordering the Minnesota Public Utilities Commission to revise it; or restricting who can participate in the program. The DFL-controlled House is unlikely to scale back the community solar program the way some Senate Republicans would like, but changes to community solar could be part of negotiations between the divided bodies. When state lawmakers created the community solar garden program in 2013, they wanted to give people who don't want to or can't install solar on their own property a chance to participate in solar energy. They also wanted to make the state attractive to solar development and create new jobs. Xcel argues the program isn't achieving that first goal, as nearly 90 percent of the program's participation comes from businesses, nonprofits or state and local government agencies — not individual residents. Some advocacy groups that have embraced community solar agree the program should have a larger residential footprint. But they want to see the state's program preserved, saying community solar provides other community benefits that critics don't often talk about. For example, renters in north Minneapolis who might not have been able to access solar energy in the past are now doing so by participating in a cooperative that's installing a solar garden on a downtown Minneapolis parking ramp, said Julia Nerbonne, executive director of Minnesota Interfaith Power and Light. Making sure everyone can participate in the transition to renewable energy will make for a stronger energy system overall, she said. "We don't want one company to control our energy future, and [community solar] may not be the most efficient," Nerbonne said, "but it does build resilience because we have many different people who have a stake in it." Solar electricity was virtually nonexistent in Minnesota before 2013, when the Legislature created the community solar garden program as part of a package of policies aimed at boosting solar in the state, said Joe Sullivan, who heads the state Commerce Department's energy division. "Ninety-eight percent of Minnesota's solar capacity has been installed since 2013," Sullivan told lawmakers on the Senate energy committee last month, adding that 91 percent of the new solar capacity the state added last year came from community solar gardens. Community solar is expected to continue strong growth over the next several years, he said, though solar energy still only accounts for 2 percent of Minnesota's electricity mix. Rather than eliminating it, "we'd like to work on making the program better," Sullivan said. Shaffer, of the solar industries group, agreed, emphasizing the jobs and economic development solar can bring to the state. Legislation to repeal the program "is jeopardizing $600 million of possible development into the state," he told lawmakers. "I hope the committee does not take that lightly." Sen. David Osmek, R-Mound, chairs the state Senate energy committee and has led the discussion on possible changes to the state's community solar program. "It's a work in progress. I appreciate the discussion," Osmek said. "I do want Minnesota jobs to stay in Minnesota, and this definitely has an impact on that. I recognize that." At the same time, Osmek said at a minimum, state Public Utilities Commission regulators should give the program more oversight "to make sure we are getting the best value for our ratepayers and for the money we spend on energy." In the meantime, Xcel has projected that solar will continue to slowly, though steadily increase its presence in its mix of energy sources, as the company moves toward its goal of carbon-free power by 2050.